Well, it's been a while since I've shared any recipes with you guys. To be honest, I've kind of been on a hiatus from cooking. Since Summer hit, I have been riding the frozen meals and sandwiches train. It was such a hectic school year, I have enjoyed sipping my coffee in the mornings knowing the kids can help themselves to frozen waffles and whatever else they can scrounge up in the cabinet! However, my waistline has had quite enough. Starting this week, we are trying to incorporate more healthy foods and get the kids back in the habit of eating fresh fruits and veggies. It makes total sense that I'm about to share a cake recipe with you, then, doesn't it? The healthy part about it is the fresh, local blueberries we picked recently from Thunderbird Berry Farm in Broken Arrow. It was a fun trip and the berries have been wonderful. I have actually been putting them in salads too, but this cake is delicous. If you really want to, you could trade out the all-purpose flour for some Whole Wheat Pastry Flour, and the sugar for raw sugar, Stevia in the Raw, or Wholesome Sweeteners and it would be an amazing real food recipe. 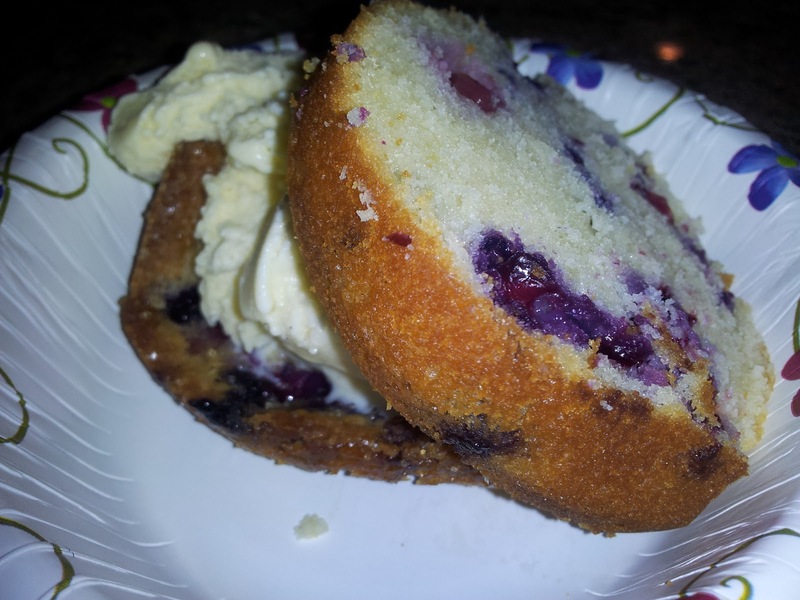 In a bowl, toss blueberries, lemon zest with remaining teaspoon flour; gently fold into batter. Coat a 12-cup nonstick Bundt pan with cooking spray. Spread batter in prepared pan. Happy Summer, and happy eating!